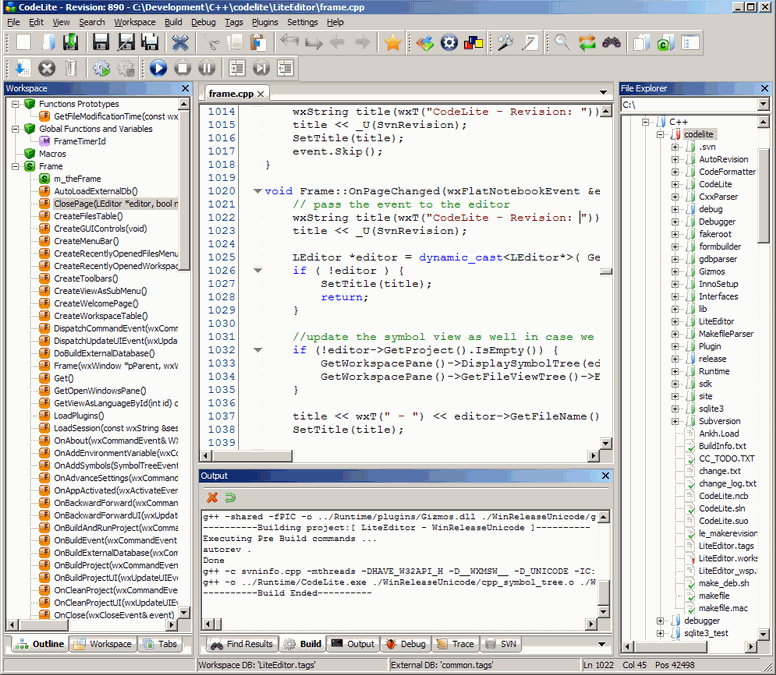 Recently I had mentioned about CodeBlocks – the Free C++ IDE. Kevin read about that, and commented that CodeLite is a similar software. So, I decided to check out CodeLite, and liked it. 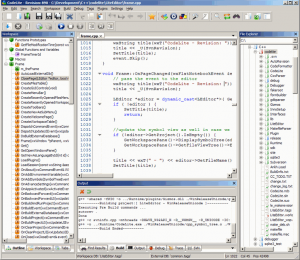 CodeLite is an open source and cross platform IDE for C/C++ development. CodeLite provides very good debugging capabilities, provides a good UI with features like syntax highlighting and auto complete, and works on Windows, Liux, and Mac. Debug the active Project: Using this option, you can start debugging in the project that is active in your project workspace. You can step through code, use watches, and lot of other debugging utilities. Attach to an Existing Process: If you want to debug an existing process, you can use this option. When you select this option, CodeLite will show you a list of running processes, and you can pick any one of them to start debugging. Quick Debug: This option comes handy if you just have an executable that you want to debug. Debugging features include Watches table, Quick Watch, stack variables, see currently running threads and switch between them, add/remove breakpoints, automatic tooltip, and a view of memory. All these features would come really handy for any professional C/C++ development. When you use CodeLite for the first time, one of the things that you would really like is its UI. The interface is very nicely laid out. On the left, there is Window for your workspace, right side has a file explorer, and center portion is occupied by the code editor. If you want to see output of your program, the Output window is located right below the editor. All these fit really nicely together, and make it easy to swith between different parts of the project. Advanced code completion that is database based. Apart from all the above features, CodeLite also provides support to add external tools and plugins. This can increase the feature set of CodeLite manifold. If you are a C/C++ code developer, you are going to love it!